On July 19, 2016 I headed to the beach based on the low tide. Lately I have been doing very well and decided to try a spot that sometimes produces many coins. I decided to use my favorite Minelab Excalibur because I like the tones produced when I hit a good target compared to my other units. The temperature was in the high nineties and I was not getting targets, not even junk targets. I had a few coins and decided to leave the water and follow a 50 yard depression made in the sand by the tide. I was half way into depression when I received a loud unusual tone in my headset. My scoop went into action, and after my first scoop, there in the hole was all this sparkling reflections in the sunlight. 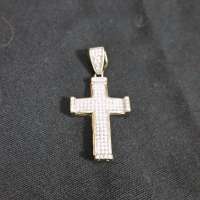 The outline of a cross loaded with small diamonds. I decided to end my detecting for the day and headed home. When I arrived home I had removed all the sand and tested the diamonds and they were real. 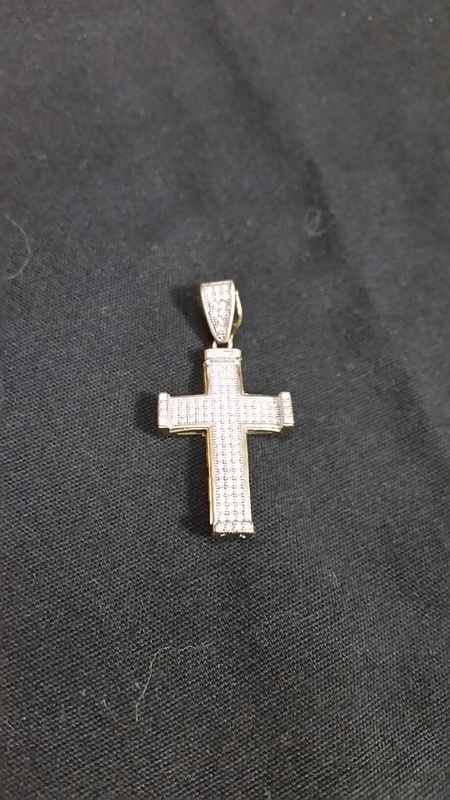 I counted 118 small diamonds in the cross. This was another great find for me and I am on the beaches almost everyday looking for more.